Julia Rae may have cystic fibrosis, but that hasn't stopped her from being a rising star in the worlds of singing, acting, and pageantry. Oh, while running the occasional marathon besides. At 17, singer and actress Julia Rae flew to Los Angeles to pursue her dream of becoming a professional singer. A month after she arrived, her lung partially collapsed, again. Julia Rae taking a selfie. Rae, now 25, was born with cystic fibrosis (CF), a chronic lung disease. She was used to extreme fatigue, sinus problems, and a nasty cough. For years growing up in Philadelphia, she dedicated herself to extra hours of special breathing treatments to clear her lungs so she could take singing lessons and perform in local theater productions. And it paid off. At 16, a music video she made and put on social media went viral, catching the eye of producers in L.A. Her condition wouldn’t get in her way, she thought. 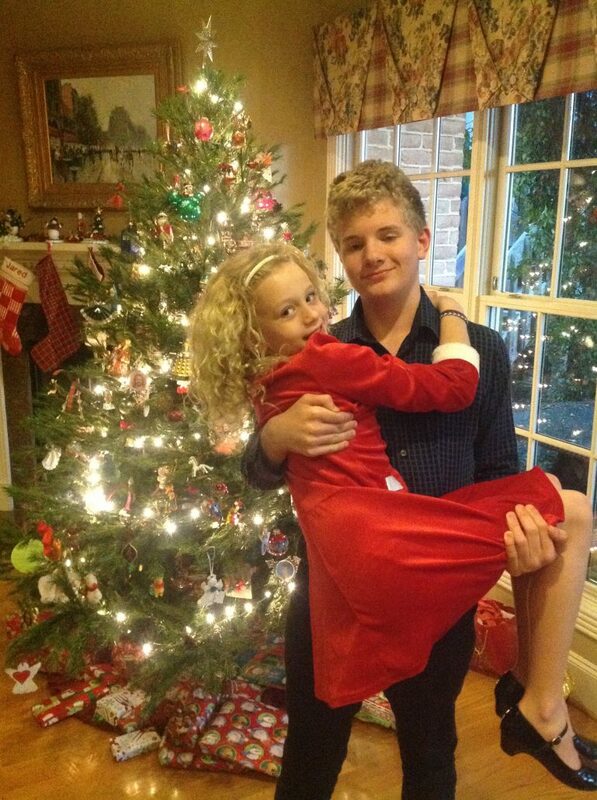 “I was singing before I could talk,” says Rae, whose older brother, Will, also has CF. It’s a genetic disease that causes the body to make a thick mucus that clogs the lungs. When Rae was born, doctors told her parents she likely would not live to see college. Music has been my escape, my therapy, my mood lifter my whole life. It’s how I get through my day. But then, in L.A., she was rushed to the emergency room. “I was in excruciating pain,” she says. “I could point to where I thought my lung wasn’t working.” She spent weeks in the hospital with her mother at her side. She wrote a letter about her life, and asked her parents to include it in the program at her funeral. Over the weeks, Rae improved enough to leave the hospital, and she returned home to Philadelphia to recuperate. The year before, she had been named Miss Pennsylvania’s Outstanding Teen, and as part of the pageant’s community service component, she formed a non-profit. She named it Singing at the Top of My Lungs. 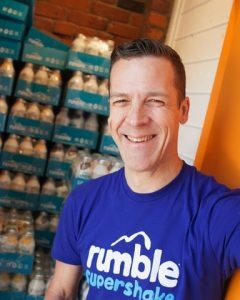 At home in Philly, Rae threw herself into building up her organization, which raises money to find a cure for CF and to support art and therapy programs at children’s’ hospitals. 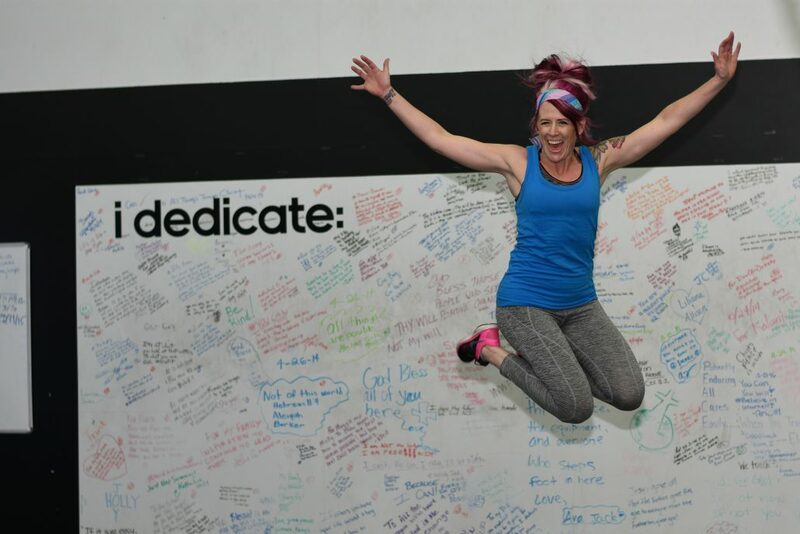 “I immersed myself in the CF community,” says Rae, who now splits her time between Philadelphia and New York. “I certainly had those moments when I wanted to give up, but it’s how I coped. It’s what propelled me forward.” That year she hosted a fundraiser with her band at the time, raising more than $12,000 for CF research and programming. Since then, she’s helped raise more than $100,000. 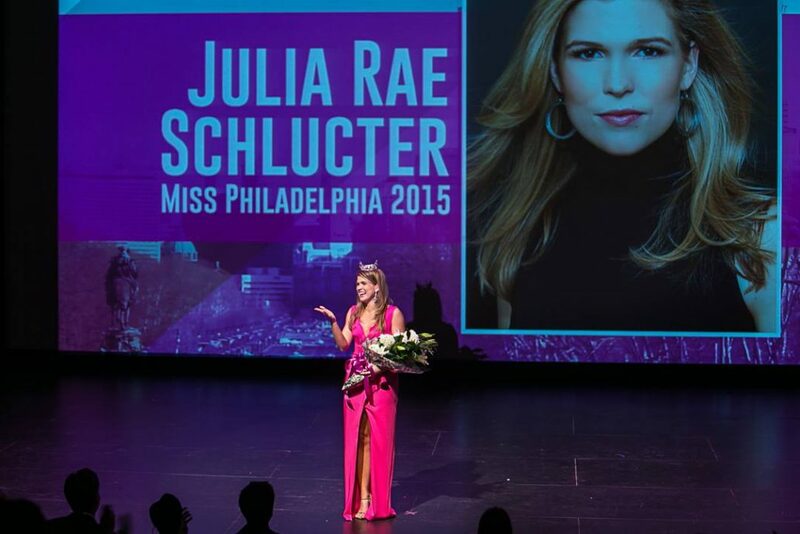 Julia Rae in an appearance as Miss Philadelphia 2015. It’s a far cry from how Rae handled her illness for most of her life. 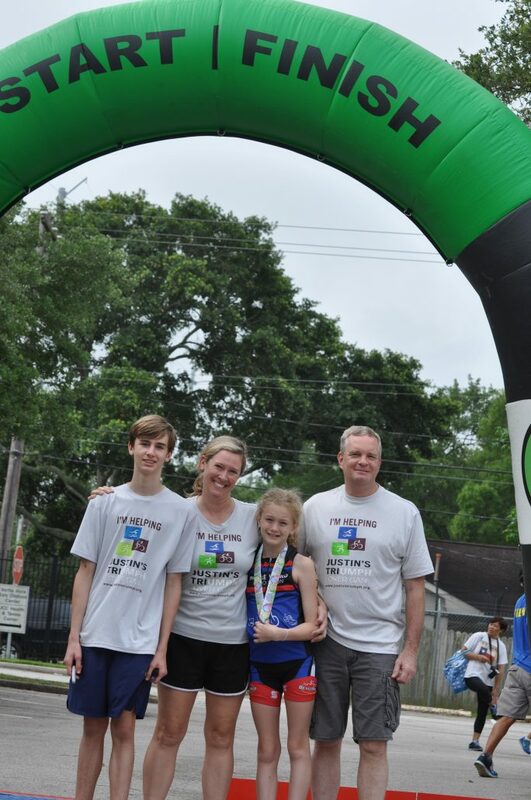 As a child and teenager, she didn’t want to talk about CF. She didn’t want her friends to know that, until a special treatment vest was invented when she was 7, her mother pounded on her chest several times a day to help open her lungs, or that she was hospitalized at age 6 for a partial lung collapse. During productions, she didn’t want to ask music directors for special treatment. She didn’t want to be a problem, for people to feel sorry for her. “And that became my platform,” Rae says. “I realized I was doing a disservice to that part of me by not acknowledging it.” Talking about her condition has helped her heal. Helping others has given her strength. Talking about her condition has helped her heal. Helping others has given her strength. A year after her partial lung collapse at 17, Rae returned to LA and recorded an original song, “Be That Girl” that was featured in the movie The Greening of Whitney Brown, starring Brooke Shields. She also appeared on Radio Disney and has sang for the ABC Thanksgiving Day Parade. She graduated with a degree in media and communications from Fordham University, won the title of Miss Philadelphia, and was then first runner-up to Miss Pennsylvania. 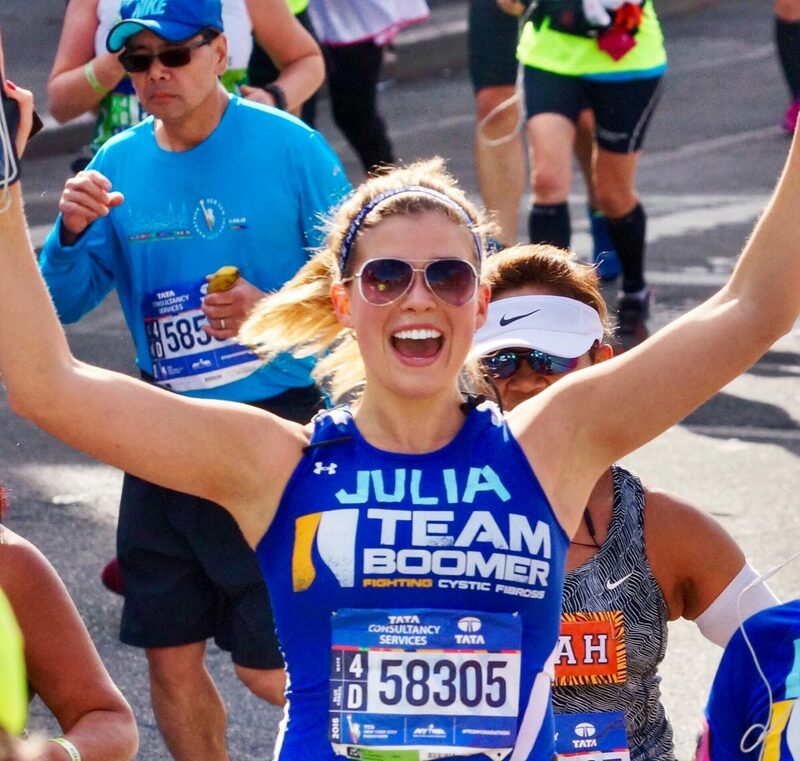 She also ran the New York City marathon. Rae crossing the finishing line at a recent marathon. She still slips on her airway clearance vest for up to two hours every day to shake the mucus from her lungs. Some days, her cough makes it hard to sing. But she’s also found relief in a new medication that treats CF on a molecular level. As a performer in the public eye, it’s taken time for Rae to feel comfortable sharing her story. She never wanted CF to define her. She wanted her talent to speak for itself. But, admitting to the world CF is a part of her has energized her, it’s fueled her art. Rona Wiggins was told it was too dangerous for her to get pregnant. But there's more than one road to becoming a mom. Rona Wiggins’ childhood was filled with limitations: Don’t fly on a plane. Don’t ride roller coasters. Are you sure you want to be a cheerleader? Isn’t that too strenuous? Then there was the most disheartening limitation: You must never birth a child because it might kill you. Rona Wiggins with her beloved motorcycle. At first, Wiggins accepted the limits placed on her by caregivers. As a girl, she didn’t realize there were other people like her, with sickle cell disease: a debilitating blood disorder that contorts red blood cells into a sickle shape. The shape hinders the supply of blood, causing a lot of pain and a crisis that usually has patients hospitalized. According to the doctors she’s seen through the years, Wiggins, now 43, isn’t supposed to be here. She was given “death dates” at 13 and then 21. 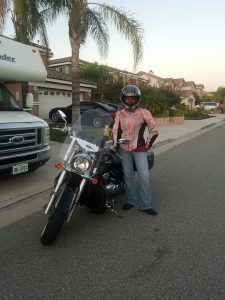 Today, she’s living well with sickle cell disease, whether she’s helping others like her through patient advocacy, or riding her beloved motorcycle. The last time a doctor proclaimed she wouldn’t live long, she defied that prognosis and celebrated with an “I’m still here” party at age 35. But her journey is certainly filled with twists and turns. 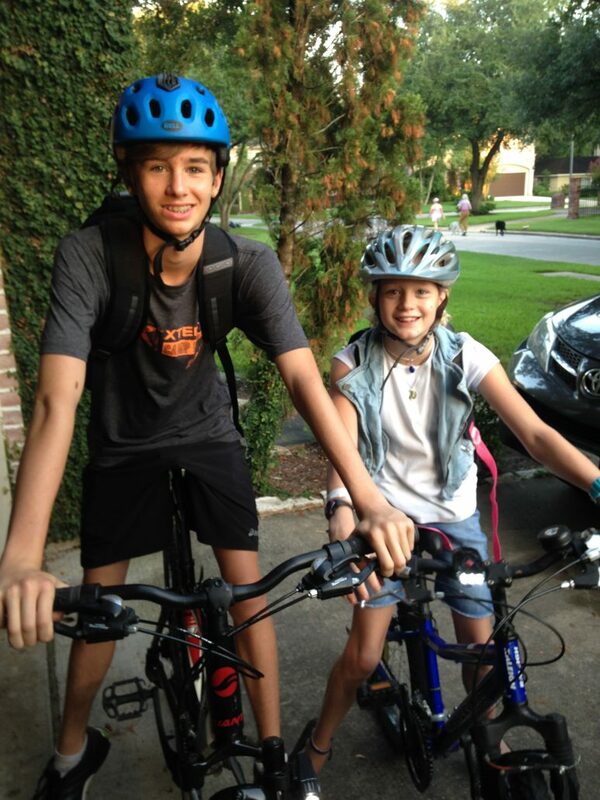 Soon after her party, Wiggins was diagnosed with relapsing-remitting multiple sclerosis. “I was angry with God. Was I not a good steward of sickle cell?” she remembers asking after the MS diagnosis. Still, Wiggins has tried to remain resilient. She is determined not to let these conditions stop her from becoming a mother. The Virginia native who lives in Murrieta, Calif., spends her days preparing to foster, then adopt, a child. At 18, Wiggins experienced an ectopic pregnancy miscarriage. Later, she held off on having children until she found the right partner. “As a child, I had dreams to be married by 21 and have a child by 23 and the next child by 25 but that was not my story,” she says. But for several years, motherhood was tugging at her heart. She considered adopting a child, so she contacted an agency to see if she was qualified as a single, gainfully employed woman living with sickle cell. All was good, except for the sickle cell. Rona staying sassy in the hospital. Then, at 39, she married Antwoine Wiggins and became an instant mother. He was already the father of six, including one child who was deceased and one who was adopted. When the couple moved to California, they brought his son with them, and a daughter later joined. Before the two teens graduated from high school, the Wiggins began talking about options to expand their family. “I even asked the oldest daughter if she would be willing to carry our child but she is having such a hard time with our second grandchild that she said she will not be having anymore,” Wiggins says. So they considered adopting a newborn from a mother who was giving her child up for adoption. However, they were uneasy about the potential for the mother to change her mind. It was a situation they weren’t sure they could handle. The next logical option was becoming foster parents with the goal of adopting. “With that option, we would know for sure that the parental rights had been legally terminated and that the child would be ours,” Wiggins says. The process has been long and tedious, filled with state clearances, fingerprints, tuberculosis tests, physicals and classes. In classes, the coupled learned about discipline without hitting, mental health issues, effective communication, transgender and sexual issues in children, water safety, and CPR. But the end is now in sight. They expect to have a child in their home no later than April. Meanwhile, Antwoine was recently deployed. 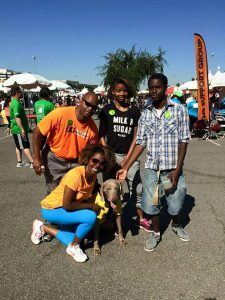 Given her dual diagnosis of sickle-cell and multiple sclerosis, Wiggins notes there may be days where her limbs don’t work right, where it will be hard to make her appointments with doctors and specialists. But to hear her tell it, these are challenges for every parent. How Marfan Syndrome killed my music career, replaced it with a writing career, and helped me see the connective tissue flowing through everything. “You have spider hands,” the doctor said. Known formally as arachnodactyly, it was the thin, elegant structure of my hands that—along with the abnormal curvature of my spine, and my generally compromised immunity—lead to me being diagnosed with Marfan Syndrome when I was 15. From that moment on, my relationship with myself, my illness, and the world have been reflected by what I do with those long, delicate fingers; those slender, hard-working spider hands that, through Marfan Syndrome, transformed me into a writer. Marfan Syndrome is a connective tissue disorder. According to the Marfan Foundation, signs and symptoms include long arms and fingers, a curved spine (otherwise known as scoliosis), a chest that sinks in or sticks out, overly flexible joints, flat feet, crowded teeth, and inexplicable stretch marks appearing on the skin. The syndrome often results in vision problems, asthma and sudden lung collapse, as well debilitating heart problems, the most serious and fatal of which is aortic dissection: a literal tearing apart of the tissue layers in the heart. 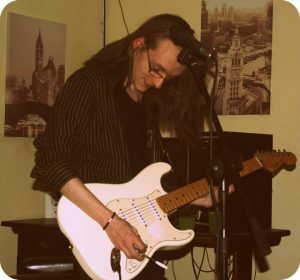 Alex J. Coyne as a young guitarist. Luckily, I’ve yet to have an aortic dissection, but many of the other symptoms of Marfan applied to me, including scoliosis. Over the years, in fact, I had several Marfan-related surgeries. Despite that, though I ignored my symptoms best I could for several years after diagnosis. But part from the checkups and occasional surgeries, I acted as if the syndrome didn’t exist. Then I turned 19. Precocious, I’d built up a budding career as a professional live guitarist playing the local blues circuit, but the pain in my back had been worsening. We were just about to line up some new gigs when a sudden nagging cough and chest pain made me stop. After a thorough check and an MRI, the doctor’s bad news hit hard. My back was degenerating, and I was told I soon wouldn’t be able to pick up anything heavier than a bottle of milk. As a young guitarist who needed to carry a heavy Les Paul around with him everywhere, the news was crushing, to say the least. I’d long prided myself on my ability to use my slender and dextrous spider hands to make a difference in stranger’s lives through music: now, my career had seemingly ground to a halt when it had barely started. My partner and I agreed that we needed to find an alternative to performing. So I turned to my second love, writing, and I haven’t stopped since. Not that it was easy to get started. We must have submitted pitches to a hundred publications before I sold my first piece: an article about Endometriosis that sold to a South African women’s interest magazine. Shortly after, I made my second sale: a piece on collecting guitars, sold to an investment publication. From there, the commissions started coming in regularly, and today, I am a full-time writer. But Marfan Syndrome did more than just put me on the path to being a writer. I like to think it has made me a better one: more thoughtful, more curious, more deliberate, and more concerned with the connective tissue that flows through everything… not just my body, but the world itself. The truth is, Marfan has influenced every aspect of my writing. Take research, for example. A freelance writer needs to become an expert on anything they’re paid to write about, so research is an important part of the job. I take it seriously, because I strive to keep people informed, and part of that is because I’ll never forget how perfunctory, how blase that first doctor was when I asked him what Marfan Syndrome was: “Wikipedia it. I can’t tell you more than what’s on there.” I never want a reader to feel as in the dark about an issue as I felt on the first day of diagnosis. Marfan Syndrome has also helped give me a fresh perspective on what I write about. When I write stories about, say, the state of South Africa’s hospitals, or how and why readers should draft up a will, it is Marfan that serves, in a very real way, as my muse. These stories have urgency for me, because I could be the one in an underfunded hospital, struggling to survive an aortic dissection. I could be the one whose will might be needed in the next few years. Mortality, too, plays into it. Writing also gives me hope that something about me will live on after my death. Because Marfan Syndrome is hereditary, I decided to have a vasectomy early in life; I didn’t want anyone else going through what I’ve gone through. But in a way, the articles I write are my children, in that every word I put to paper will be around a lot longer than I’ll have time to see. Writing also gives me hope that something about me will live on after my death. Who knows? 1,000 years from now, maybe some futuristic archaeologist, hunched over in a landfill, will pick up the dusty brick of some old hard drive with their slender hands. Maybe that hard drive will have a copy of this article on it. And when they read it, maybe they’ll realize they have Marfan’s Syndrome too, and go get treatment for it. Far fetched? Sure. But even when I played guitar for a living, all I wanted was to create something, to move people, to make a difference in their lives. That career path was closed off to me due to Marfan Syndrome, but it also opened another door—the door to writing—where I could do the same thing. And, with my spider hands, I’m going to hold that door open as long as I can. The blood disorder, which primarily affects people of African descent, shows the ways in which racial prejudice can cause the health care system to break down. When Damian Jackson was a young man, some lawyers helped his family out. “I admired them,” he remembers. “They were smart, and they helped people out. I thought it would be a good thing to go into if I could.” Now, Damian’s a litigator with close to two decades’ trial experience and around a hundred jury trials to his name. Damian’s desire to help others out doesn’t stop when he leaves the office. 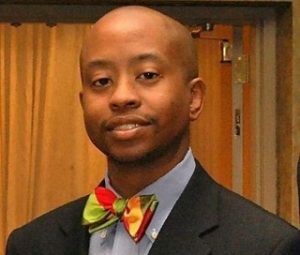 The Philadelphia man spends his free time speaking up for sickle-cell sufferers, helping them access the health care they need during a crisis, and working to raise awareness of a disease that’s largely misunderstood by medical professionals. Damian Jackson has had sickle-cell disease his entire life. Damian says he’s lucky. After all, he’s had fifty years of pretty good health. This could be attributed to a balanced diet, enough rest and regular exercise. Or perhaps it’s due to his parents, whose experiences with Damian’s elder sister, also diagnosed with the genetic condition at birth, shaped the way they raised him. However, despite his good fortune, the defense attorney hasn’t escaped his share of crises – the debilitating bouts of pain experienced by sickle-cell sufferers. Crises are caused when oxygen-carrying red blood cells become distorted, forming a sickle, or crescent shape. The pain is immense, and during his last crisis Damian was unable to do anything else than reach for the phone and dial 911, before spending three days in the hospital. But these episodes have been rare, and despite a few aches and pains, Damian just gets on living the best life he can: lifting weights and running on the treadmill each morning, going to the movies and spending time with his wife of fifteen years, Dionne. He’s recently taken up golf, and started going to yoga classes. Damian’s softly spoken and polite as he explains how sickle-cell disease has shaped, but not overtaken, his own life, and how important it is to raise awareness of the condition within the medical community. Sickle-cell disease varies in its symptoms and severity. How has it affected you? I am very fortunate that my case has been mild for the most part throughout my life. Thankfully – I’m knocking on wood as we speak – I haven’t had a crisis situation in about fifteen years. That’s very unusual. I’ve had other issues with my sickle-cell, some aches and pains where I think, okay, I need to sit down for a while, but not a full-blown crisis where I’ve had to go into the hospital and be under a doctor’s care. I know some people who have the disease who are totally disabled, they cannot hold down a full-time job, they can’t do most things for themselves because they have such frequent crisis situations that it affects their day-to-day living. I did have a wound on my ankle this past year that was very slow to heal, doctors attributed the slow healing process to my sickle-cell, believing there wasn’t enough oxygen getting to that area. That’s a side effect but not something I’d consider as a crisis. Normally a red blood cell is circular, but with a person with sickle-cell, theirs are in the shape of a sickle. What happens is from time to time, these cells will start to clot in a certain area, on a blood vessel, and that’s what causes the pain. This is known as a crisis, and it’s an episode of pain, often very severe. Normally it would cause you to receive intravenous pain medication, and be in the hospital for several days, possibly weeks. What triggered your last crisis? I’ve always try to say what factors triggered a crisis—was I running myself ragged, did I do anything extra—and I’ve never been able to come up with a cause. I’ve talked with others, and repeatedly people will say I wasn’t doing anything out of the ordinary, it just happened. It’s really unfortunate what happens with sickle-cell it just happens. My last crisis was about fifteen years ago. Every person who has sickle-cell has an area on their body where they have their crisis, and for me it’s always been my back. I was in such excruciating pain I couldn’t do much more than call 911 and the emergency rescue had to come and take me from my apartment to the hospital because I couldn’t walk at that point. I was in hospital for three days. Is your good health down to your lifestyle, or is it simply luck of the draw? I attribute it to the way I have lived. I was diagnosed at birth, and my older sister has sickle-cell disease too, so my parents knew from an early age that there were certain things they could do early on that could potentially help me, like getting enough rest, having a proper diet, things of that nature. Since I had those at an early age they have benefited me throughout my lifetime. I try to maintain good eating habits, eating lots of fruit and vegetables, I don’t sleep a lot, I never have, but I do try to monitor that and make sure I don’t run myself ragged. Is there any stigma associated with sickle-cell disease? One of the big problems with sickle-cell disease is that you’ll have an episode of crisis and go to the hospital and run into a doctor who’s not familiar with you. And you tell them that you’re in pain, and doctors are automatically apprehensive about giving you pain medication. So they might not medicate you enough to relieve you enough, which means you’ll experience even more pain. Couple that with the fact that SCD primarily affects people of African descent, so you have these African Americans going into the ER seeking pain medication and you get a doctor who’s not familiar with the disease. They can’t give you an objective test like taking your temperature to see how much pain you’re in, and they’re somewhat apprehensive. They have whatever stereotypes built in so they give you the least amount of medication possible, then they want to put you back out of the hospital onto the street. How do you think sickle-cell disease would be treated if it was a Caucasian disease? I point to Tay-Sachs disease which does affect Caucasians but it’s even more rare. But when someone with this presents at the hospital the medical community has a greater understanding, and they’re not stigmatized as drug seekers or anything else. 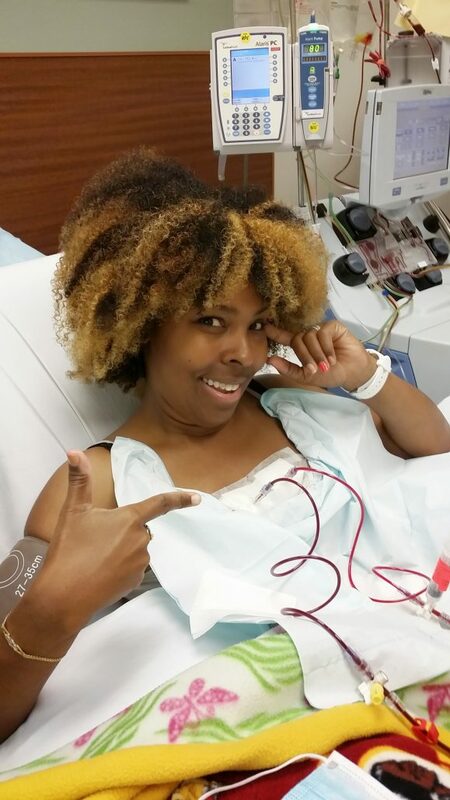 A friend of mine with sickle-cell was in Texas, and went into crisis pain. This person is in the medical community, they were actually working at the hospital where they went into the ER. The hospital staff knew who they were and they still treated them the same way just because they were an African American, presenting with sickle-cell pain. The doctors actually refused to give adequate pain medication and medical treatment until my friend’s home physician got in touch with the doctors and explained what was going on. I thought that was unbelievable. They wouldn’t take the word of their own colleague, who was a medical professional, because they had a lack of understanding. Sickle-cell patients just want to get pain relief, and if you can stem the tide of that pain early, we can be out of your hair in a much shorter time. Sickle-cell patients just want to get pain relief, and if you can stem the tide of that pain early, we can be out of your hair in a much shorter time. Unfortunately the medical community doesn’t understand that, and with trying to piecemeal the pain away, they just extend the whole process. Usually if I go into the hospital where doctors and staff aren’t familiar with me, I know I can call someone in the hospital administration and talk to them, and they’re going to exercise a certain amount of power on the doctors who are treating me, so I can get what I need. But your average patient—who will also be in pain which affects their ability to advocate for themselves—isn’t going to be able to do that. As carriers, did your parents ever express guilt over passing the sickle-cell trait onto you? They’ve never expressed it but I believe it is there. Just certain conversations I’ve had with my mum over the years. She’s never come out and said “I feel so guilty you have the disease” but she has said she will always worry about us. When we were younger, if you catch a cold, a head cold, a bad cold that can sometimes trigger a crisis, your body gets dehydrated, your immune system will get distressed. As small children, going to elementary school, we would get sick a lot. So my mom has said in the past she would worry, sometimes she couldn’t sleep at night sometimes when we were sick because she was so nervous and so worried about us. Is this same concern a reason you have chosen not to have children? I didn’t want children. I never wanted to bring somebody into this world who would have to deal with the pain that I went through. I thought, I can’t go through the mental gymnastics while I’m dating and have somebody fill out some type of genetic card before we got serious, I just hoped I would meet someone who shared those same views, and if we did in fact want children we could possibly adopt or do something else. My wife has never wanted children either, but for her own reasons. How did you approach talking about SCD with your wife, when you were dating? Sickle-cell’s a lifelong disease. If you’re going to be with your life mate they’re going to need to know how to handle it. That was one big thing I talked about with my wife, when we were dating, that if I ever go into crisis and I need you to speak for me, this is what you need to do. I educated her so that she would know if in fact that time would come and I couldn’t advocate for myself that this is what I’d need. Sickle-cell’s a lifelong disease. If you’re going to be with your life mate they’re going to need to know how to handle it. How much awareness is there of sickle-cell disease within the African American community? Most members of the African American community either have a family member or know someone with sickle-cell disease, so there is awareness. When my sister was diagnosed my mom really had no clue what the disease was or anything else. She told me about talking to her friends and very few of them knew anything about it until she spoke about it with one of her friends who actually had the disease as well, but back then it was so stigmatized that nobody really spoke about it. What advances would you like to see for sickle-cell patients? I’d like to see much greater awareness. Besides the doctors being apprehensive about you receiving the pain medication, a lot of doctors don’t learn about SCD in medical school. I have heard from doctors that they maybe spend a few minutes on SCD throughout their whole educational career, unless they go into haematology. So many doctors are ignorant of the disease. I also think something that isn’t emphasized enough is within the sickle-cell community is to really think hard about family planning. People date and fall in love, and a lot of people don’t know they have the trait. Or one might have the disease and the other the trait. But by then, they’re already in love, and about to get married. At that point, what do we do? Because the person with the trait, and the disease link up. Most likely, depending how many children they have there’s a greater chance they will have a child with the disease and not just the trait. So that’s something people really need to think about. How do you reconcile living with a reduced life expectancy? You can’t plan for everything. But I try to live as normal a life as possible and really not dwell on that. I try to eat right, exercise, spend time doing the things I enjoy outside work, and really hope for the best. I’ve understood from an early age that the life expectancy for somebody with sickle-cell wasn’t very promising. But with the advances in medicine and staying on top of things, being an advocate for my own personal healthcare, I think I’ve done all I can do to make sure I have the longest, best life I can. City YearWhen Kelly David’s two-year-old son Colin waves and zips around the front yard in his little red ride-on car, onlookers don’t see a toddler with visual or mobility impairments. They just see a regular kid exploring his surroundings and enjoying the Florida sunshine. “Nobody outside of our circle really knows that [the car is] a form of mobility for him,” David says. 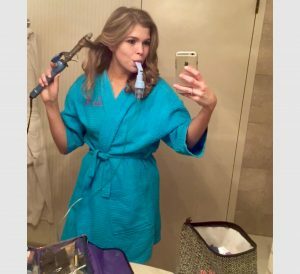 “It doesn’t look like medical equipment. It doesn’t draw attention to itself.” David is referring to the car that was modified for Colin through a program at the University of Central Florida (UCF) called Go Baby Go!. Colin has visual impairments caused by albinism and mobility issues caused by a rare genetic disorder called Angelman Syndrome. Colin’s speech language pathologist at UCF suggested that he might benefit from a modified ride-on car and referred him to Dr. Jennifer Tucker in UCF’s physical therapy department. 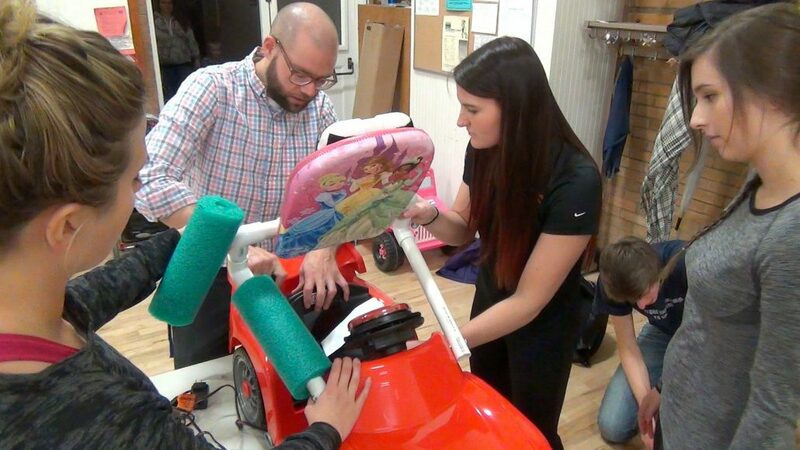 Researcher Sam Logan and a team of volunteers modifying an off-the-shelf ride-on car to be safe for kids with mobility issues. A motorized wheelchair can cost tens of thousands of dollars since it’s a medical device, but a modified ride-on car for kids costs around $200. “Motorized wheelchairs are much more robust in terms of battery life, and they can go in any direction,” says Sam Logan, an assistant professor at Oregon State University (OSU) who oversees an undergraduate student club that modifies cars. The motorized wheelchair industry tends to focus more on adults since kids outgrow them so quickly. The cars Go Baby Go! modifies do not replace the need for other medical devices, but they provide fun and mobility for developing kids.“It’s not a perfect one-to-one solution,” he admits–motorized wheelchairs are still better–but a ride-on car can still give a child with mobility issues the first autonomy they have. In addition to OSU’s student club, Oregon also has a monthly community build night in Portland. “Families will come and they have some of the modification supplies, or families will bring cars,” he says. “In one evening, they’ll modify the cars and families can take them home that night.” Once a child outgrows a car, the family can pass it on to someone else or give it back to Go Baby Go! so another child can use it. Go Baby Go! started a decade ago at the University of Delaware, and now has 75 chapters worldwide, including a nationwide partnership with BMW New Zealand. 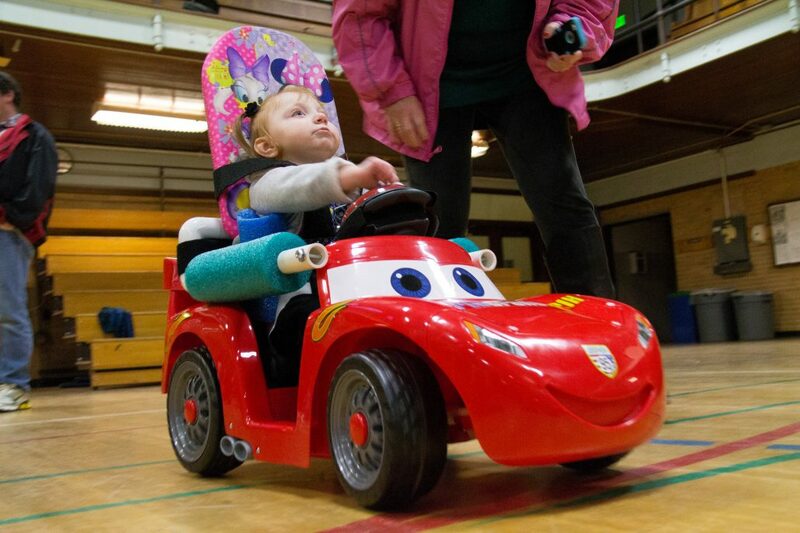 Go Baby Go cars give some children with special needs their first taste of real mobility. Cole Galloway, a professor of physical therapy at the University of Delaware, received a National Science Foundation Award to study brain development in babies. Galloway’s research showed that he could spur cognitive and motor skills development in toddlers before they could even crawl using an experimental robot outfitted with a joystick. The robot cost tens of thousands of dollars to make and was intended for research. 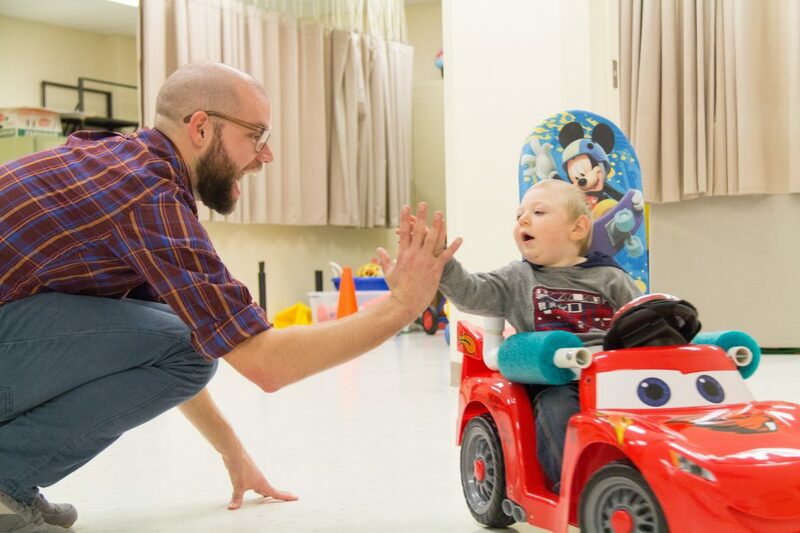 However, families of children with mobility issues desperately wanted one their child could use in real life so their child could move and develop too. “I would get phone calls from parents crying on the answering machine,” Galloway says. “They kept asking me ‘when it is going to commercialized? When is this going to be available?’ They weren’t seeing it as research, they were seeing it as a real device.” He notes that parents of a two or three year old with mobility issues don’t have the experience of chasing around their child or watching the child chase a family pet, and they often worry about school readiness. 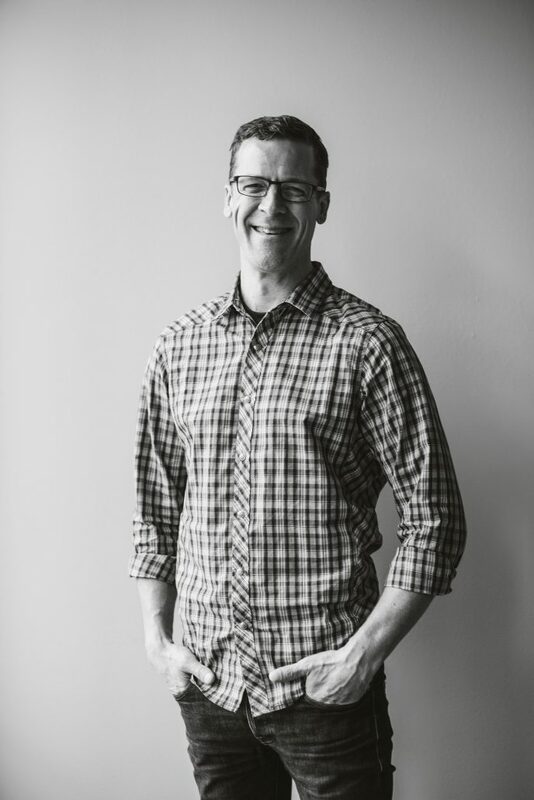 Galloway’s mentors advised him to focus on the research and let the community impact be someone else’s work, but Galloway couldn’t turn his back. The question of whether he could also spur their development nagged at him. A high school student working in his lab asked, “Why don’t we go to Toys ‘R’ Us … and just build stuff?” Instead of manufacturing expensive robots for research, they bought little motorized ride-on cars and modified them for kids who couldn’t, for example, push a gas pedal or who needed extra trunk support to sit upright. Instead of patenting these modifications, Galloway shared them freely with the world. Chapters have sprung up in universities, Kiwanis clubs, schools and other organizations. When Fisher-Price called two-and-a-half years ago, Galloway panicked. Would they object to him using the Go Baby Go! name (a name used on many of their toys) or modifying their product? Actually, they said they loved the concept and wanted him to do a workshop with their designers. Galloway has also conducted a workshop for Daytona 500 and has plans for a workshop with Mattel. These hands-on workshops serve as a team-building activity and also provide a tangible benefit since they’re modifying cars to be used by real kids. 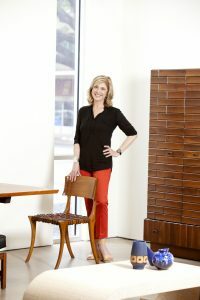 “They are interested in corporate giving that provides a personal context,” Galloway says. As for the David family, Colin started waving his hand after he starting using his car, so it’s also boosted his social engagement. “That’s really the first time that we saw him purposely wave,” David says. All photos courtesy of Oregon State University.